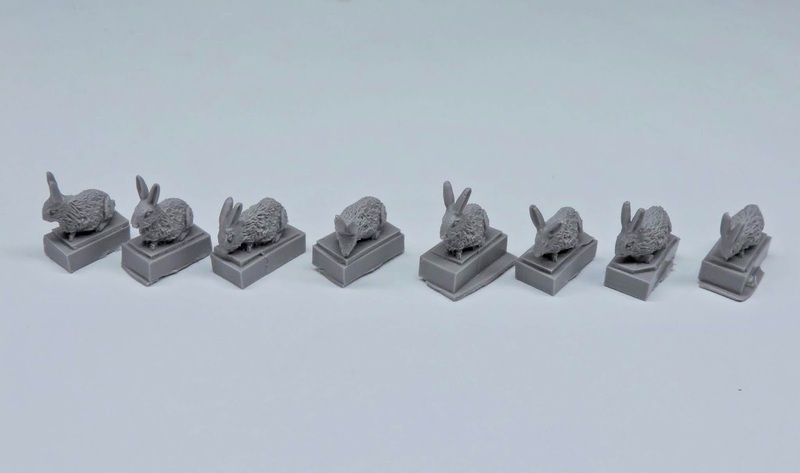 A while back I asked Paul at Red Zebra Models if he had ever thought about making some woodland animals, specifically 1/35th scale rabbits as I was keen to incorporate them on my bases. He promised to look into it and I'm pleased to say he's now ready to release a very neat set of them. I've just received the first casting so thought a review was in order. 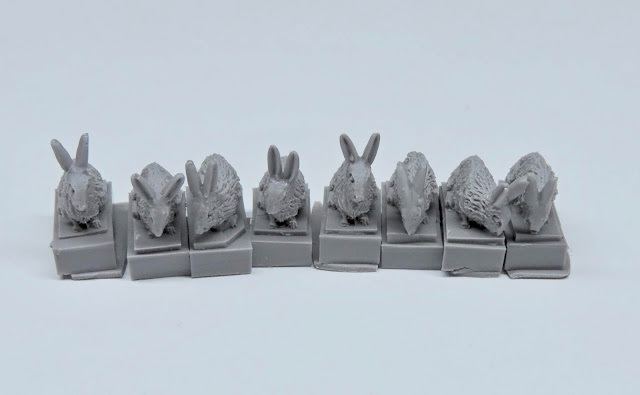 In the set you get eight bunnies, two squirrels and two foxes, which is really great as you have some nice options available straight away. You also get four separate bunny ears so you can alter the orientation of said ears if you are so inclined. 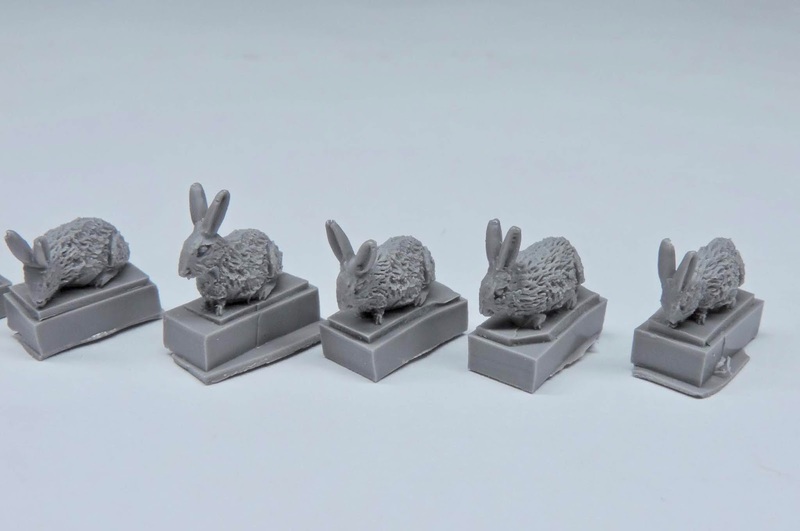 The rabbits are all in different poses and are really well done. 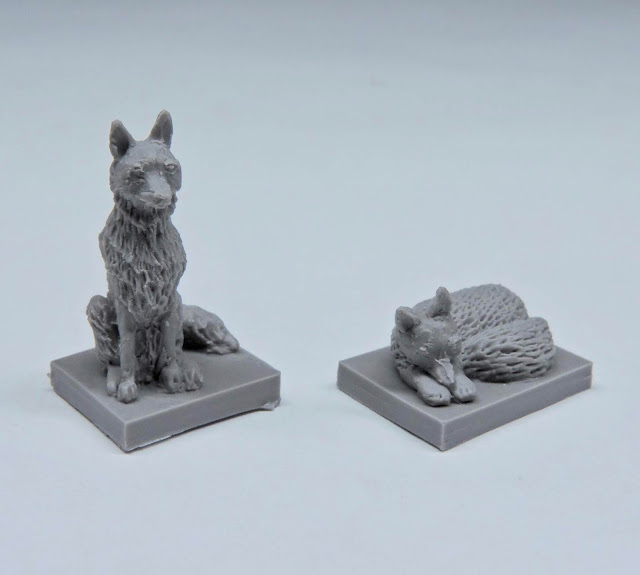 The fur detail is particularly nice and should paint up well. Anyone who has ever been to a military establishment or training area will know that rabbits are a very common sight so adding on or more to a base or diorama will add that extra touch of realism. 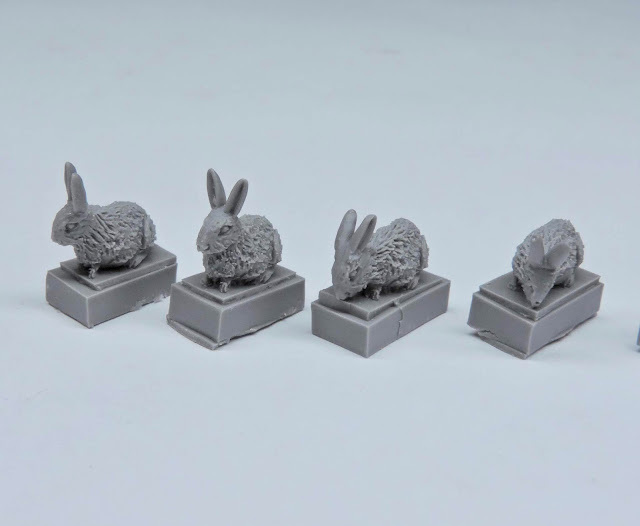 So these bunnies really fit the bill and look very lifelike indeed. 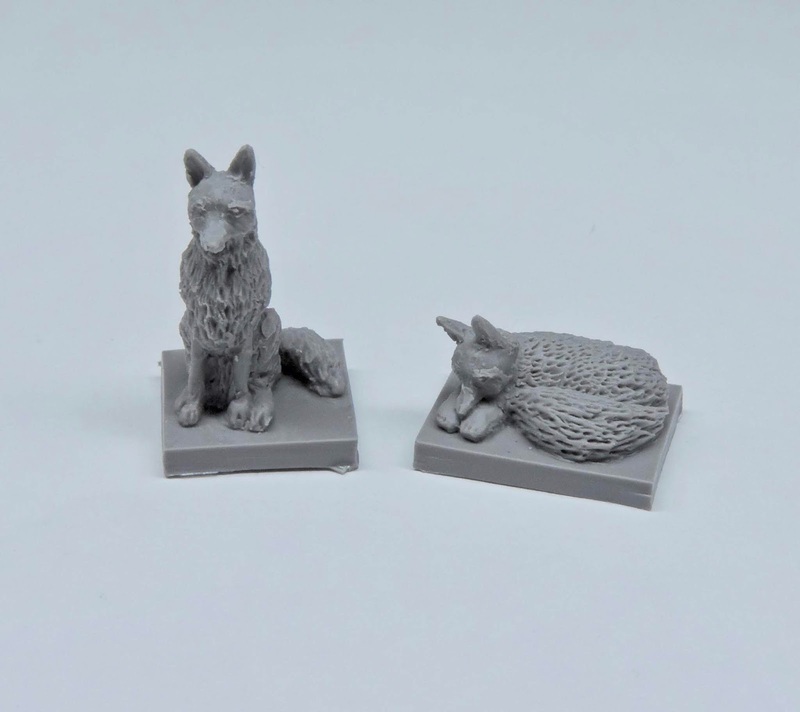 The foxes & squirrels are also very well done with the snoozing fox my particular favourite. I can see him underneath a bush having a kip! 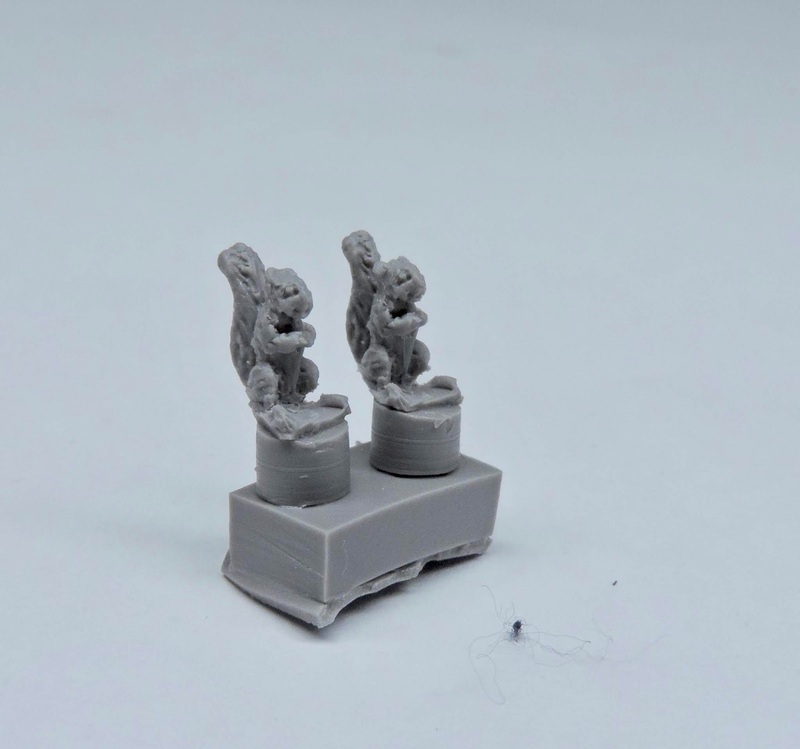 Again both would make a really nice feature on a diorama and both are also very evident on military land. 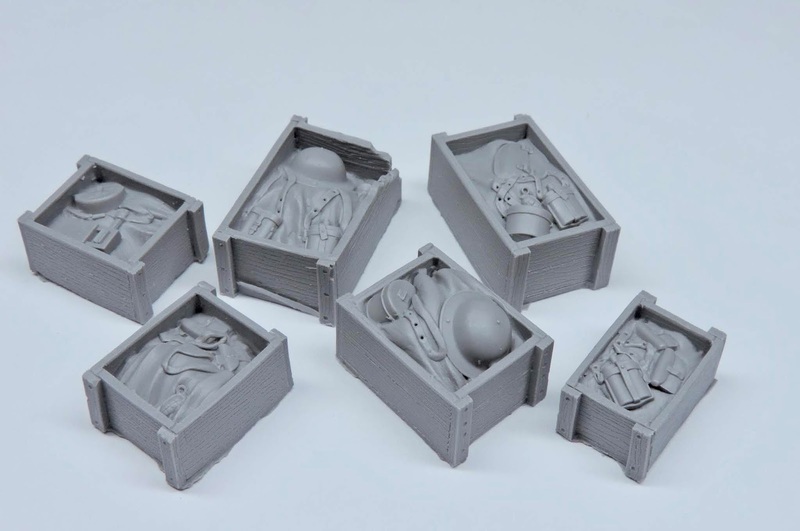 Next Paul has sent me a set of 1/35th scale boxed stores for WW1 British vehicles. 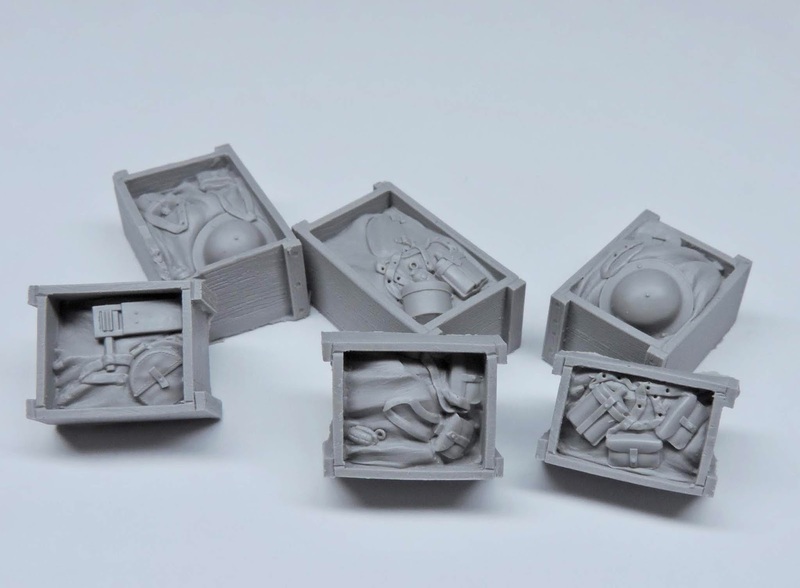 Six crates in various sizes are provided with various bits of kit moulded inside each one. Again the sculpting and casting is first class. 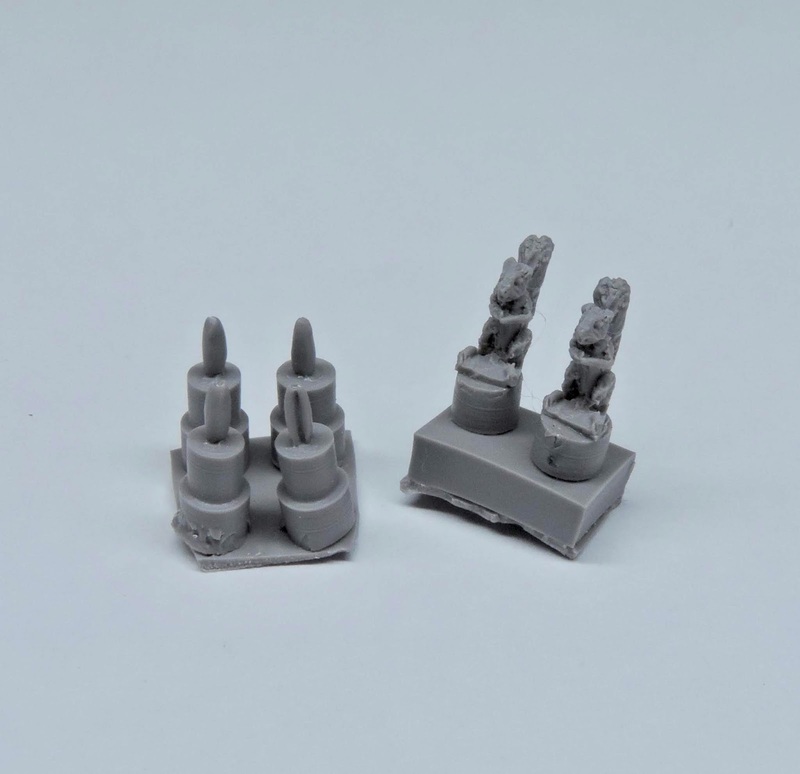 Another excellent set that is perfect for vehicle stowage or indeed for adding to trench scenes etc.